The Body-Solid GFI21 Heavy Duty Flat/Incline Bench as a quick-change safety pull pin that allows multiple angle back pad adjustment from flat to an exact 90 degree angle. The GFI21 featires full-length steel reinforced back and seat pads that provide double incline adjustments, it's perfect for a variety of barbell and dumbbell exercises. If you are serious about training, this is the one for you! Order your Body-Solid GFI21 Heavy Duty Flat/Incline Bench from FitnessZone.com today or call 1-800-875-9045 to talk with one of our fitness agents. The quick-change safety pull pin allows multiple angle back pad adjustment from flat to an exact 90 degree angle. Featuring full-length steel reinforced back and seat pads that provide double incline adjustments, it's perfect for a variety of barbell and dumbbell exercises. If you are serious about training, the Body-Solid GFI21 Heavy Duty Flat/Incline Bench is the one for you! 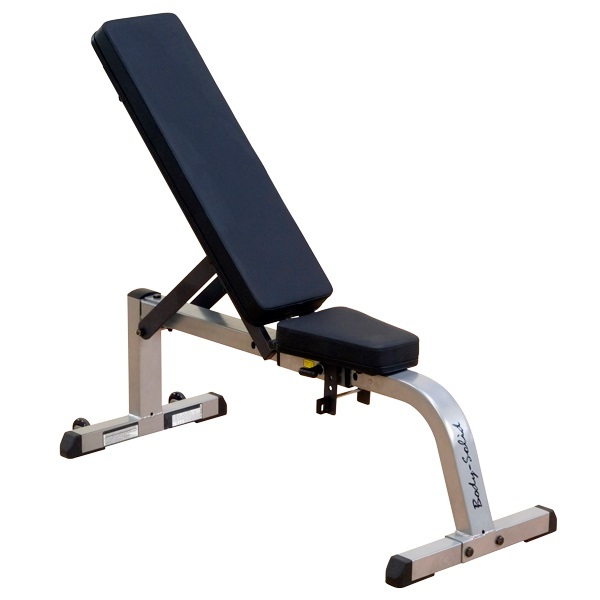 Order your Body-Solid Heavy Duty Flat/Incline Bench from FitnessZone.com today!